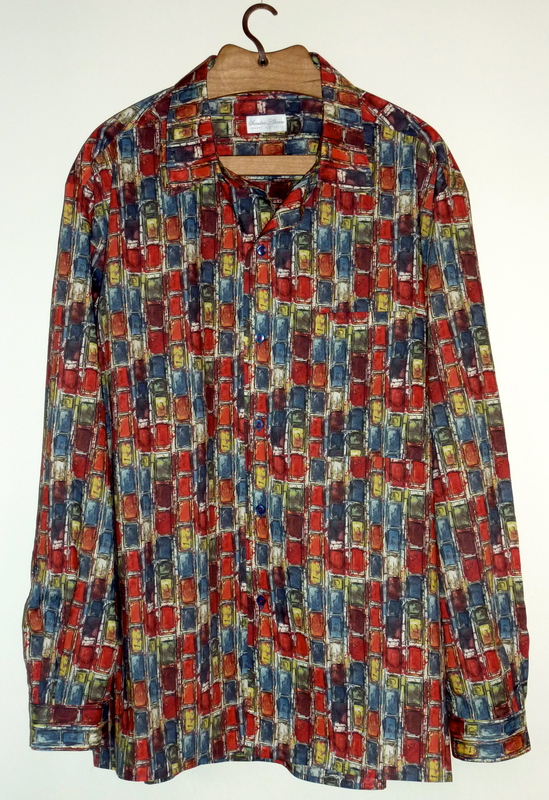 I have just made a shirt for Mr Petal & Pins from fabric bought on last years trip to Paris. He has several shirts made from fabric bought on our travels – they make a great memento and back home when I start cutting the cloth i’m taken back to that place and time. and the print reminds me of the tin paint boxes I had as a child. 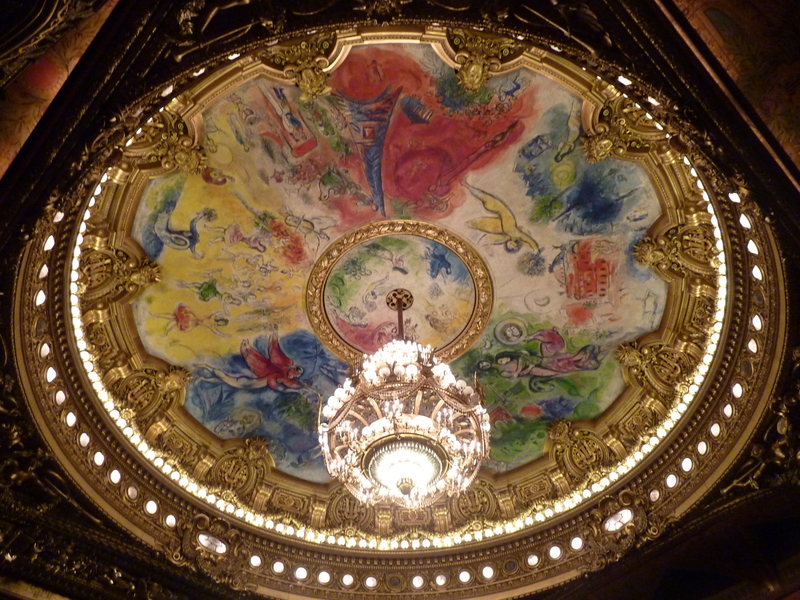 The colours remind me of Chagall’s painting on the Palais Garnier ceiling. 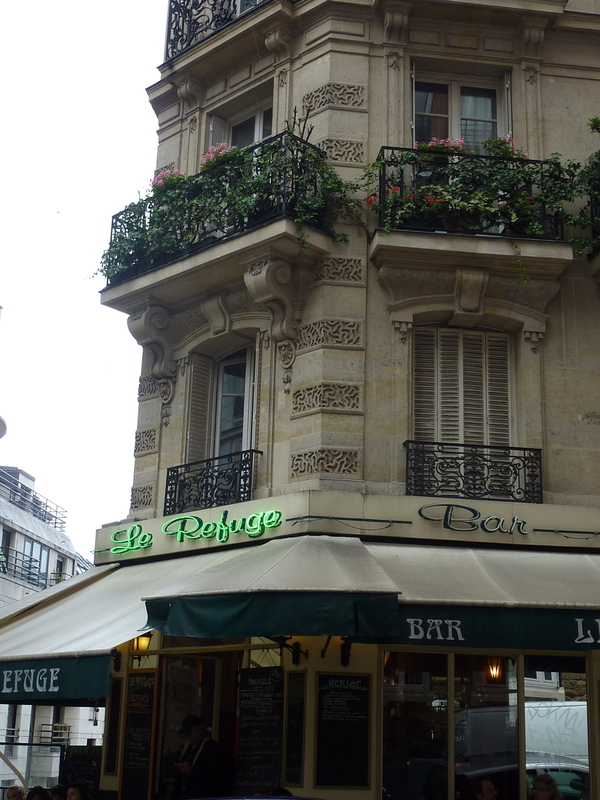 I’ll enjoy seeing Mr Petal & Pins wearing the ‘Paris’ shirt and reminiscing about strolling around Montmartre stopping for lunch at Le Gascon and drinks at our (temporary) local – Le Refuge. I also bought these Eiffel Tower scissors – aren’t they cute! 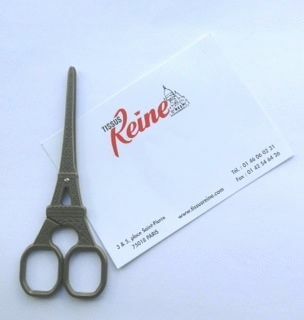 I also recently bought fabric at Tissus Reine 🙂 The scissor is very cute! I liked the mini mannequins they had displaying fabrics as outfits.